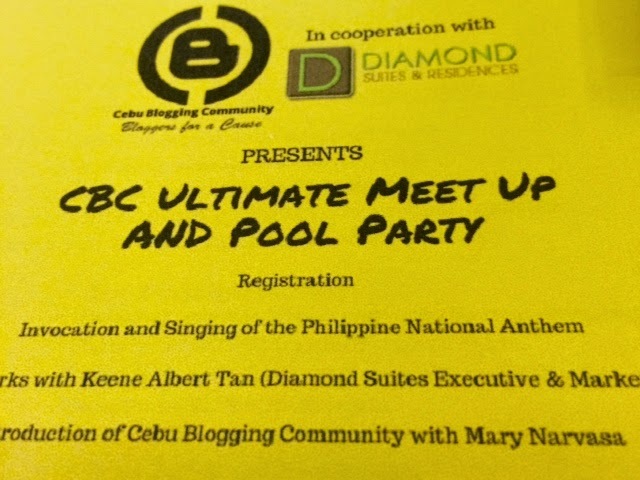 Cebu Blogging Community held its first ever Ultimate Meet Up and Pool Party in the Diamond Suites and Residences last March 7. Top bloggers all over Cebu gathered in the event to formalize their commitment to the budding community of online influencers. The core product of the said event is the sealing of the members' Manifesto on Public Accountability. The meet-up started with, of course, the bloggers getting to know other members of the community. 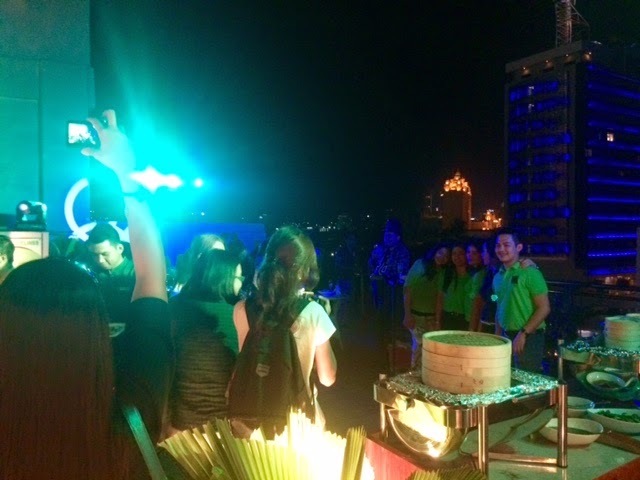 Likewise, the Diamond Suites and Residences team also welcomed the bloggers. 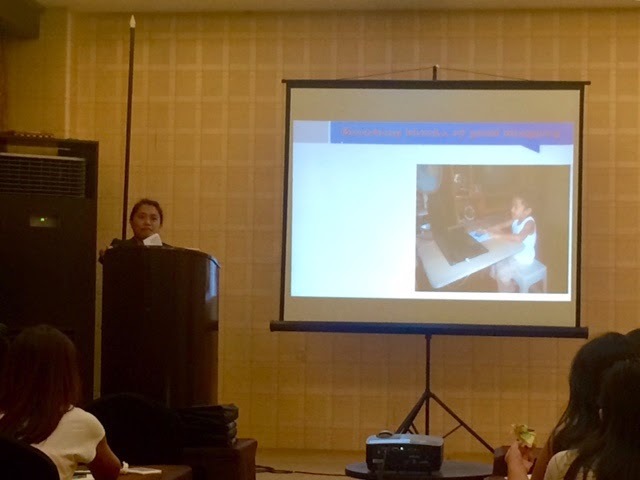 The presentation of the CBC Rules and Regulations was then initiated by Ms. Mary Narvasa, thereafter. The getting-to-know portion was quite a fun part. Aside from the initial HIs and HELLOs, Thaddeau Ybarsabal Engaling from the Cebu Team Building Services facilitated a very engaging ice breaker for everyone. Talks about social goods and journalists' responsibility wrapped up the whole afternoon with the bubbly Ms. Eleanor Valeros talking about blogging with social responsibility. Long-time CBC partner, Philippine Information Agency, also graced the event. 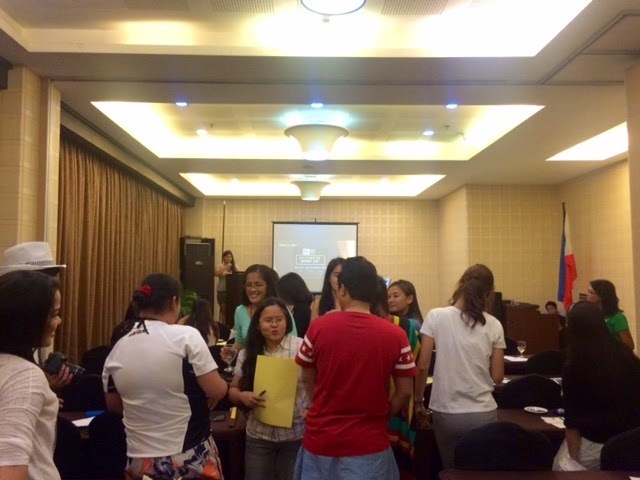 Their dynamic manager, Miss Rachelle Nessia introduced the PIA to the bloggers. After the event, Diamond Suites and Residences facilitated an ocular tour to their hotel which ended with a pool party at their pool area.